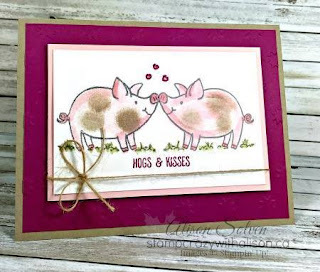 Rubber Room Ramblings: THIS LITTLE PIGGY FELL IN LOVE! There are so many different stamp sets and styles in the new Stampin' Up! Annual Catalog. 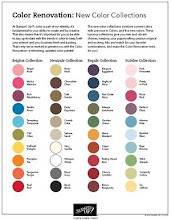 Whether you like vintage, traditional, romantic, silly, something you can water color, or something super easy and quick, you will find it in the catalog. 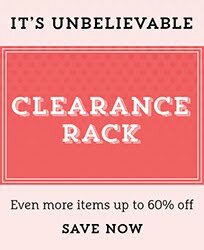 I have a very long Wish List, and can hardly wait for the catalog to go live on June 1st. This stamp set is number one on my "I love that silly thing" list. There is something about these little piggies that just puts a smile on my face. So like how SU! 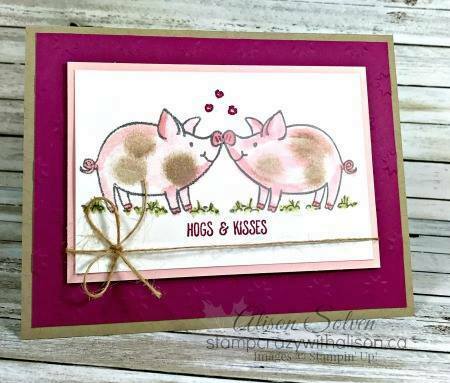 Demonstrator, Alison Solven, makes these piggies look all dirty and in love! If you need a new Catalog, please contact me!